Non-hazardous flushing agent for uncured polyurethane that offers superior performance over other pu cleaners such as Methylene Chloride. Effective polyurethane flushing compound without dangerous solvents. For many years Methylene Chloride has been used as a polyurethane (PU) flushing agent. It is tried, tested and proven, but it is also very dangerous and responsible companies are now looking for alternatives. 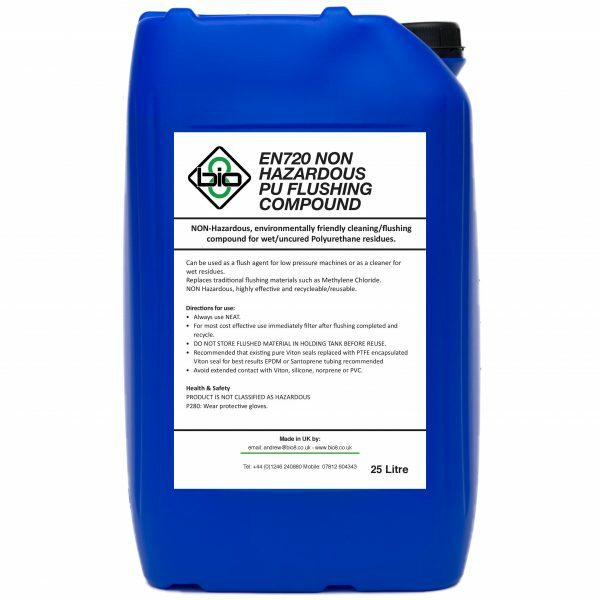 A NON-Hazardous Solvent Free Polyurethane Flushing Compound that clears uncured Polyurethane residue from machines without using dangerous solvents. Since Methylene Chloride was outlawed as a cleaning agent, the Polyurethane processing industry has been searching for a viable alternative. 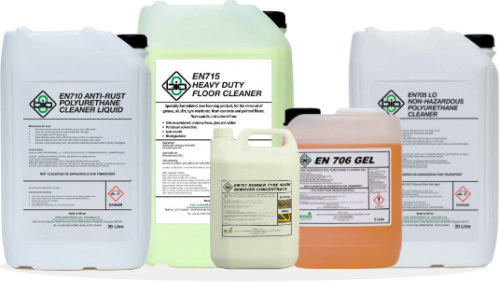 EN720 offers the powerful cleaning ability of Methylene Chloride without the extreme hazards. Formulated to break down the curing process of Polyurethane, EN720 prevents PU from sticking to pipes and equipment. The compound will break down and dissolve the bonds of the wet PU, preventing it from curing and making it easier to clean away. Replaces DCM/Methylene Chloride as a flushing agent, EN720 is pumped through low pressure mixer heads and pipes, stopping PU curing and ensuring pipes clean after flushing. Suitable for PU rigid and flexible Foam, PU elastomers and other PU based materials such as adhesives. Non Hazardous under CLP and can be re-cycled/re-used to reduce cost and make it more effective than DCM/Methylene Chloride. Can be used to clean tools and other surfaces coated with uncured/wet. Furthermore, it’s classified as Non-Hazardous under CLP users are not put at risk when using EN720. One of the key features EN720 Solvent Free Polyurethane PU Cleaner is its stable composition this means it will not evaporate allowing it to sit and soak around machinery components breaking down the excess PU. 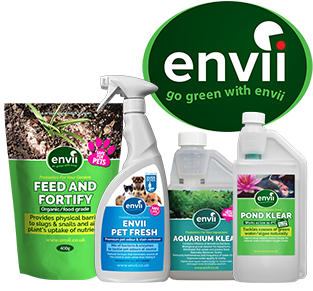 This differs from traditional solutions which need to be constantly pumped through the system resulting in a much greater quantity of cleaner being required. In comparison, a traditional clearer like Dichloromethane will need to be pumped through a machine for around 3-4 times longer than EN720 using 4 times as much cleaning compound. To conclude, the biggest advantage of using EN720 over tradition solvent based Polyurethane cleaners is it presents a much lower hazard. Furthermore, EN720 Solvent Free Polyurethane PU Cleaner is very low hazard reducing many of the dangers and related costs of storage and use. Last but not least, it is also environmentally friendly reducing issues around disposal. Viton seals will swell, but the issue is easily solved by replacing viton seals with either EPDM or PTFE encapsulated viton seals. How do you dispose of the material? Will EN720 work on cured PU?